I am so excited to be a part of Amanda Herring's Friendship Quilt Along! 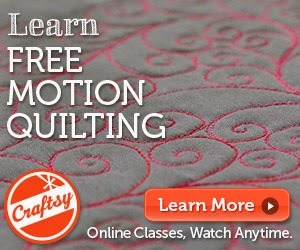 When I first found out about it, I immediately wanted to show how I would machine quilt these blocks. Prepare for more block animations coming from me this summer! Once I saw the ridiculously cute templates, I knew I had to make these blocks. I stopped being able to hand sew over a year ago, so I thought I'd machine applique these blocks, but as I was prepping the shapes, I wanted to try to hand applique just one block. I'm not going to show it to you yet, but it's actually working!!! I'm not sure I'll be able to hand applique the entire quilt, but what I've done so far has brought me endless joy! I'm making my blocks in solids so the machine quilting will show on camera, but I love Amanda's fabric kit. Do I have time to make two of these this summer? Oh the temptation!! !